Photos To Make You Smile. 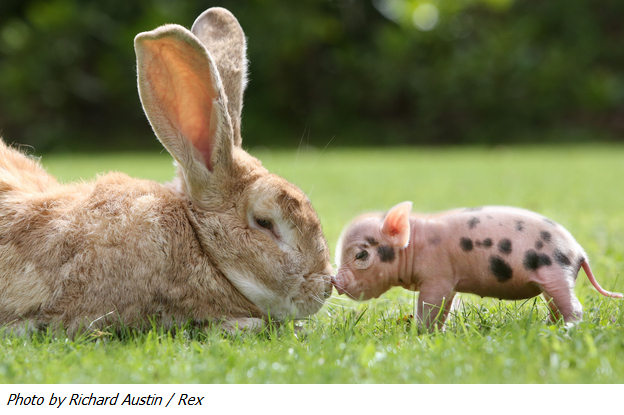 This is a story from BuzzFeed that shows photos of a rabbit and piglets. This should make you smile. It’s making me smile right now. Now that I think about it, any time the word piglet comes up there is a pretty good chance for a smile. Love is energy flow and love is safety. Love is peace. Look at the safety, peace and love that the rabbit feels. Rabbits, although beautiful, seem to be pretty timid. 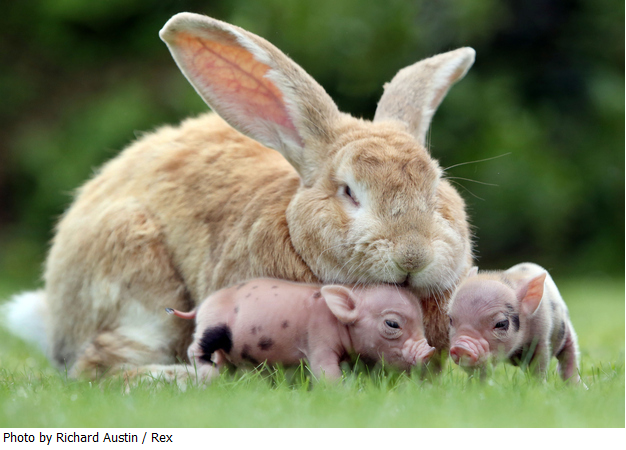 For the bunny to feel safe around these pigs is a release. It feels good, naturally. Feel the love. Feel the energy flow. Feel the peace. Feel the beauty. Take your smile and share it with some strangers, new acquaintances or Uncle Harry. Sharing the photos wouldn’t hurt either. What are you going to do today to increase the amount of peace someone feels? What about love? What are you going to do to increase love in your circle and in the world?